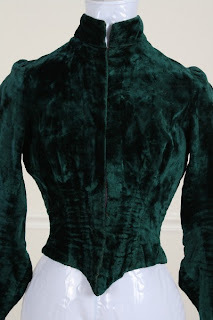 Up for auction is this gorgeous 1890's Green Velvet Bodice. 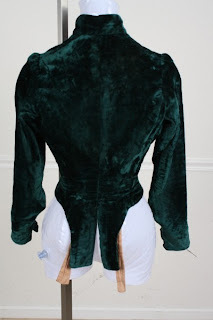 The design features a high collar, puff shoulders, and a hind side tail. There is also a matching velvet piece that I believe was intending to go inside however I was not able to figure out how to connect it. 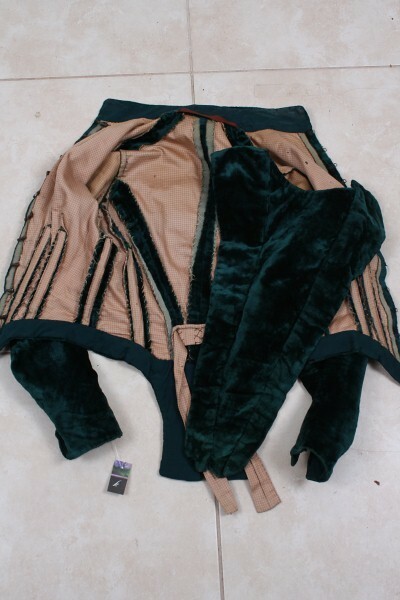 The front does close with metal hooks and eyes. 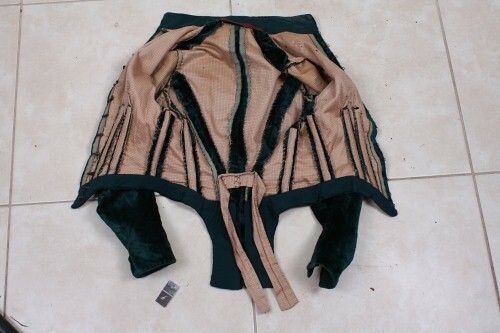 The inside is lined, has boning, and has strips for bustle support in back. Length from neckline to bottom = 19"
Shoulder to Shoulder = 12.5"
This lovely piece is in very good condition. 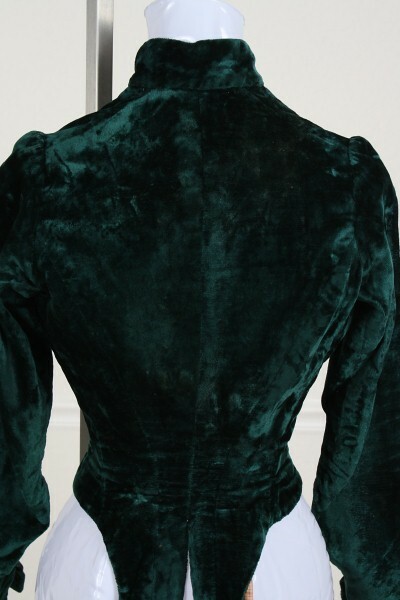 The only flaws I found were some worn areas of velvet by the collar and by the armpits. The inside is completely intact. Based on the overall shape and the tails, I'm saying 1880's.